Sydney Shop Girl: Shake Shack. Central Park. 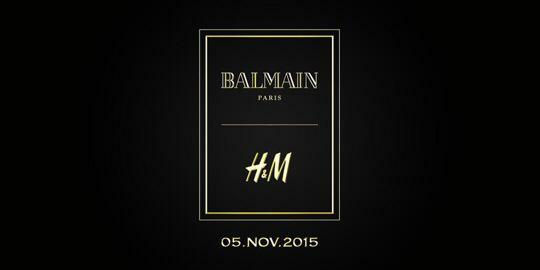 HMBalmaination. The city is wearing a fine cape of fog this morning. And I'm in my room watching HBO HD. Which was fine when it was Game Of Thrones last night but is getting pretty confronting with today's plastic surgery improvements reality TV show called.. Botched. It's got a strange kind of charm to it. Beats Royals which was on just before, though. So touristy but it had to be done. The obligatory Instagram of the LOVE installation up the road from my hotel. But I digress. The trip. I need to tell you about the trip. I've gotten myself a new Starbucks name. And used my regular Starbucks name over at Shake Shack. Which was so worth the crazy wait. The cheese fries deserve a special mention. Imagine macaroni cheese only with fries instead of the macaroni and 100000% more addictive. I ordered the Smoke Shak burger which contained crisp bacon as well as the famous beef pattie. I love how though the burger bun was a little sweet, it wasn't too 'bready'. The burger was all about the fillings. The shake? Next level. My cookies'n'cream shake tasted like liquid Lindt chocolate. All of which set me up for this morning's run through Central Park (well half of it, anyway). Once again, park time was just what my body and soul needed. I'm not a kale or stevia person. Give me lung fulls of park air anytime instead. It was just a little chilly but thankfully, it didn't rain on our run. Made a quick detour through the Children's Zoo. Where the animals were having a sleep in. But we got a sneak peak at their homes. The fog lifted enough to reveal the buildings that make up that iconic skyline above the park. The ice rink gets converted to an amusement park for the summer and one of the rides snuck into my photo. The Bethesda Terrace plaza was renovated in 2010. The Bethesda fountain features a sculpture, 'The Angel of the Waters' by Emma Stebbins, the first female artist in New York to be commissioned to create a public work of art. The fountain was actually dry in the eighties before the park's rejuvenation project restored its water supply. The Boat House on the Lake. It's hard to believe that Central Park was ever in any condition than what is in the present day but it's had periods in history where various parts of it fell into disrepair during periods of 'decline'. The most recent concentrated work on the park took place during the early 2000s. The park is also full of sculptures honouring a wide range of historical figures who have made contributions to American society. Christopher Columbus' statue was erected in 1894 and commemorates the 400th anniversary of his arrival to the Americas. William Shakespeare sits southeast of Sheep's Meadow. The sculpture was erected in 1860s and is the work of John Adams Quincy Ward, who also has three other works in the park. The funds for the sculpture were raised from a performance of Julius Caesar. We went for an hour's run around the park and because of all our detouring, only made it halfway around. We hit Central Park West feeling energized and ready for another day in Manhattan. Miraculously, we found our landmark, Columbus Circle without a map. Time didn't permit a bit of a look see around the area but fingers crossed, we will be back this evening. In other exciting news, I've finally found the bobby pins of my dreams. Can you believe they don't even sell extra long pins in Australia any more? Neither could I. So I bought two cards worth. They even come with a handy pin opener on the pack. And I've just eaten my first bagel of the season. But even more excitingly, guess who's collaborating with H&M this November? The news just broke Stateside in Vegas at the Billboard Awards. Jordan Dunn, Balmain designer Olivier Rousteing and Kendall Jenner in pieces from the collab. This is the best picture I could find of the range. What do you think? Heard any more goss on the collection? Are your fingers crossed in the hope that Sydney will get the range? Dat food. I die. Yaaaaarm.